Don't just take our word for it. See what some of our customers say about our service and the quality products we provide. Highfield Group are the UK’s leading supplier of compliance training materials for a reason. Since 1982 they’ve been providing engaging resources that support effective training delivery and helped millions of people achieve their learning aspirations. Highfield reached out to D&A Media after being recommended the Lifesize product. We have helped them with innovating and identifying the most appropriate room setups for their spaces and created a bespoke solution tailored to their individual needs. The solution we have provided them has enabled them to speak to 3-4 clients a day via Lifesize, opposed to travelling and speaking to one client in a day which is how they worked before we provided them with a solution. This has saved Highfield on travel costs, hotels and expenses. Watch the video to see how Phil Reid compares the values and culture within the two businesses and how this solution has brought great efficiency to his team. As one of the market-leading insurance companies dealing with global insurance, Canopius contacted us to help them implement a Video Conferencing structure that would help them when they opened multiple offices. From there we viewed the current state of what they had and provided the solution that would fit both their needs and the space they had. Watch the Video to find out how Canopius felt about their experience with D&A Media. A leading creative agency with a global reach, Brand Opus contacted us to consult and repair their, video conferencing equipment that was initially installed through another supplier. From there we have developed a close working relationship, advising and installing state of the art communication equipment at their flagship office in the centre of London. Watch the Video to find out how our good friend Anil Kachala – IT Director of Brand Opus rates the service and advice he receives from the team at D & A media. 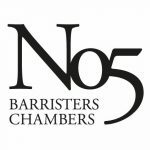 No5 Chambers is one of the country’s leading barristers’ chambers and is renowned for delivering the highest standard of advocacy and service . They were looking for ways to improve communications between their offices in Birmingham, London, Bristol and East Midlands as well as being able to provide a better service to their clients based all over the UK. We were able to recommended a Life-size package that would benefit not only their employees by reducing travel time and increasing productivity but also be able to help vulnerable clients provide video testimonies without having to go through the hardships of court appearances. Watch the video to see how No. 5 Barristers chambers have implemented video conferencing into their operations and how they feel it is helping them move forward. One of our longest standing clients, Waverton Investment Management engaged our services over 24 years ago to manage their print fleet. With previous experiences of external providers not meeting Waverton’s exceptional standards, D&A Media have proven themselves to be a trusted and reliable business partner, delivering consistently high standards of work over the 24 years of service. Watch the video to find out how CIO, Mudassar Ulhaq feels the personal relationships that has grown between the two business’ over the years has helped developed such a long standing and beneficial business relationship. 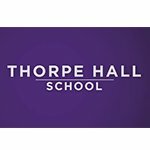 Thorpe Hall, an independent school with a rich history of excellence reached out to us regarding print and copy services 10 years ago. Since then, we have developed a strong working relationship that has also evolved into installing additional A/V services into classrooms and future buildings. Working closely with the schools Head of I.T, D&A have provided a personal and professional service which has helped the school do what it does best and provide excellent education to the bright and brilliant minds of their pupils. Watch the video to see how Headteacher Andrew Hampton, values the advice and service delivered by D&A over the ten years of working together. 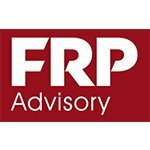 Another long standing client of over 20 years, FRP advisory initially contacted D&A Media with regards to managing their printing and photocopying needs. Since then the business relationship has developed and grown into providing not only managed print services but D&A has advised and guided FRP when updating their A/V equipment and displays throughout meeting rooms and office space on site. Watch the video to see how Paul Atkinson compares the values and culture within the two businesses and rates the guidance and technical assistance over 20 years.